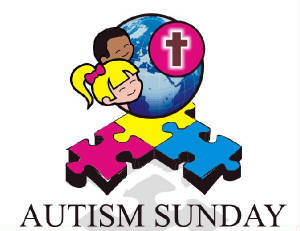 We Pray for all people with Autism and Asperger's Syndrome. We Pray for greater awareness of the condition. We Pray for tolerance and understanding towards people with Autism and Asperger's Syndrome. We Pray for the improvement of communication and social skills for children and adults with Autism and Asperger's Syndrome. We Pray for better services in health, education, specialist speech therapy, respite care, and residential services. We Pray for access to training and jobs for people with Autism and Asperger's Syndrome. We Pray for those persons with autism whose parents are no more that they will find comfort and security in a residential setting. We Pray for teachers in mainstream schools and special educators in special schools that they will work out good educational strategies to help children with Autism and Asperger's Syndrome. We Pray for medical professionals as they reach out to all people with Autism and Asperger's syndrome with kindness, and understanding. We Pray for the Government of India that they will recognize Autism as a severe disability by itself, provide public services to those affected by it and listen to the voices of disability communities. We pray that the NEW LAW Committee will create an enlightened law which will provide for all the needs of persons with disability in particular those with autism. We pray for parents and caregivers that they may have strength to cope with difficulties and courage to overcome them.